255 Eastern Parkway (The Woodrow Wilson) is a pet-friendly, art deco, elevator building with a doorman, live-in super and bike storage in the basement. 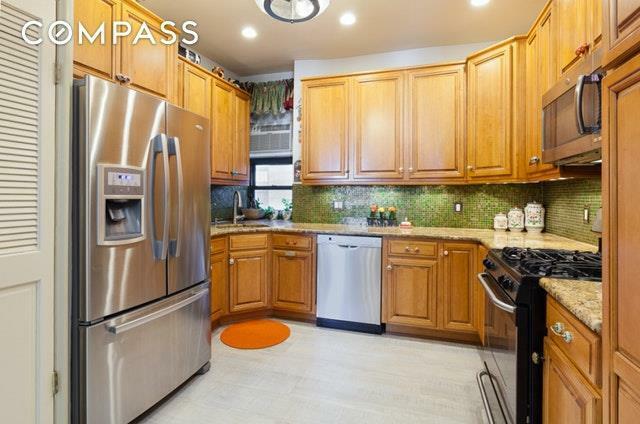 Centrally located on the popular, tree lined Eastern Parkway, in close proximity to the Brooklyn Museum, Brooklyn Botanic Garden and a few blocks from Prospect Park and Grand Army Plaza Farmers Market. 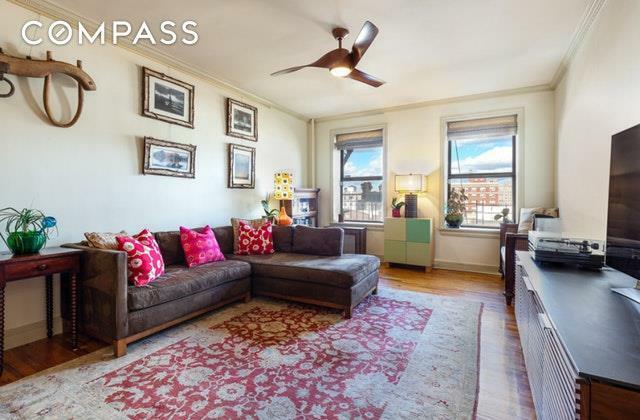 Transportation to Manhattan is accessible by the 2/3 and 4/5 trains at either end of the block.Introducing this 3 bedroom, 1.5 bathroom condo situated on the 5th floor of a charming, prewar building. This gem of a unit was total renovated. Upon entering, the foyer includes a custom built closet, then leads you into a sun-drenched, airy living space with hardwood flooring and Manhattan views, to boot. A separate, windowed kitchen was carefully designed and equipped with maple wood, custom cabinetry and complimented by Bisazza green glass and granite counter tops.Quality appliances were selected and include GE Oven & microwave, Whirlpool double door refrigerator, Bosch dishwasher and LG washer and dryer.Down the hall, you will find 3 spacious bedrooms with California closets and above closet storage. 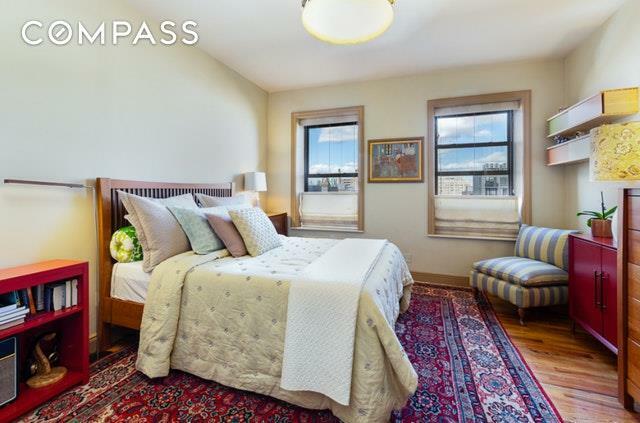 Two of the three bedrooms are northern facing with Manhattan views. The master bedroom enjoys double windows, which allow an abundance of natural light and air circulation, his and hers closets with built ins and can easily accommodate a king size bed with accompanying furniture. The second largest bedroom includes a walk in closet and additionally accommodates a king size bed. The final bedroom is south facing. The meticulously renovated, full bathroom is adorned with ceramic tile floor, a dual, white and brown, glass tiled wall and a full size tub. This unique residence incorporates a mixture of modern and classic aesthetics. 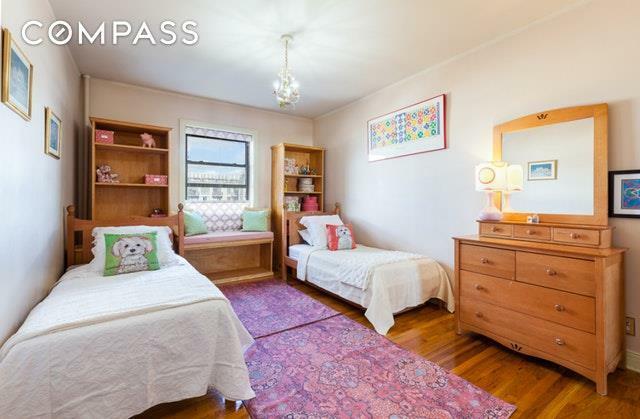 Apartment E11 also includes deeded storage in the basement in a climate controlled room.